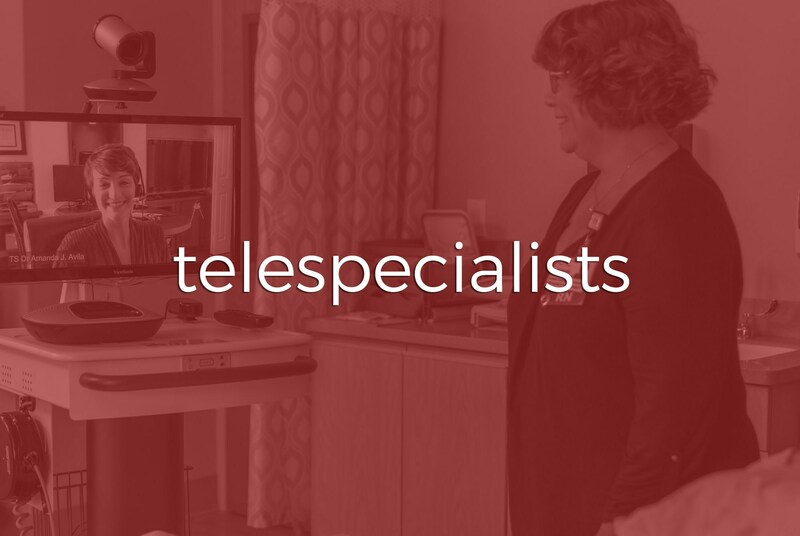 We have been the sole production company, handling all media content from commercial videography to various instructional video, for a telemedicine consulting company called TeleSpecialists. One of the larger projects we handled for them involved a 3 day trip to New Hampshire to complete four videos and one photography project. TeleSpecialists has a unique offering that allows them to video call in for medical services. Most notably, they serve medical institutions that do not have a stroke specialist on staff. TeleSpecialists “beams” into a designated video cart allowing them to view the potential stroke patient. They diagnose what is occurring and take the necessary steps to save the patient, with the help of a nurse on the other end. Their newest service was unveiled while we were in New Hampshire. It is a video call service that occurs inside an ambulance. This will drastically reduce the time taken to help the patient. This established organization utilizes our content to market their services in the medical industry. There was a strategic reason for us to travel to New Hampshire for them. Traveling comes with its own set of challenges. Gear, and its safety, is the number one concern when traveling. We were fortunate to have a camera operator based in Boston, whom we know and trust, who brought the necessary camera equipment. Kevin Echemendia traveled from St. Petersburg, FL to Manchester, NH because he is well-versed in medical content. Both Kevin’s travel and knowledge is the strategy mentioned above. We previously produced Florida based projects for TeleSpecialists. Rather than outsourcing the project to a New Hampshire based company, as some production companies will do, we took the initiative to be present. This guaranteed that the content and campaign would stay on brand and cohesive. Kevin produced and directed days 1 and 2 during the commercial videography production. He then shifted gears on day 3 to be the commercial photographer. We had a camera operator, gaffer, and make-up artist on-site. This crew moved throughout the hospital as needed. 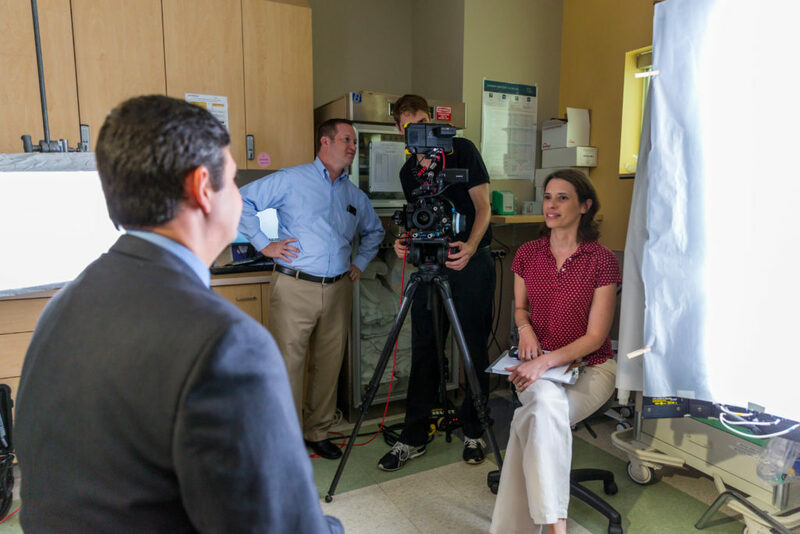 Our locations included an ER room, training room, patient wing, and even outdoor space for a press conference. Two Stories Media has been the production company in charge of various commercial photo and commercial video elements throughout 2017. This was another step for us to continue our services, with the 2018 content set to be just as impactful.